Riveters forward Kelly Nash, who is in her first year as an assistant coach at Princeton, has the ability if she chooses to suggest to her players to not just play as she says, but as she does. On Sunday, playing in just her second game in the NWHL, Nash had a goal and an assist in the Riveters’ come-from-behind 4-2 win over Buffalo. For her efforts, Nash has been named the NWHL’s Player of the Week. In the undefeated Riveters’ win over the Beauts, the 27-year-old Nash had the primary assist on Rafter's goal that tied the game at 1-1. Down 2-1 entering the third period, the Riveters scored three times in a span of 3:39 on their way to victory. Nash had the game-tying goal that started the Riveters comeback. Last night on her way back to Princeton after celebrating with her teammates, Nash admitted that she was nervous when her team was trailing, 2-1. She credits Riveters head coach Chad Wiseman for finding the right words to send his team back for the third, ready to overcome Buffalo’s lead. Nash won two national titles at Wisconsin, in 2009 and 2011, as the Badgers made three Frozen Four appearances in her four years there. In 153 career games, Nash totaled 69 points on 22 goals and 47 assists. She scored the overtime game-winning goal against Minnesota in the WCHA championship in 2011. Nash was honored as the team's most dedicated player with the Jeff Sauer Award that same season. Following her time at Wisconsin, Nash played professionally with the Vienna Sabres of the European Hockey League. Her collegiate coaching career began as an assistant at Vermont in 2013 before her hiring at Princeton in July. Nash has scored a goal in each of her two games with the Riveters this season. Since Princeton’s ECAC schedule means there’s a game on Fridays at 6:00 and Saturdays at 3:00, Nash isn’t always available for the Riveters’ lineup. But she makes every Riveters practice she can, even if she knows she won’t be playing on the weekend. “I really have to thank the Riveters’ coaches, players and staff and everyone at Princeton, too,” said Nash. 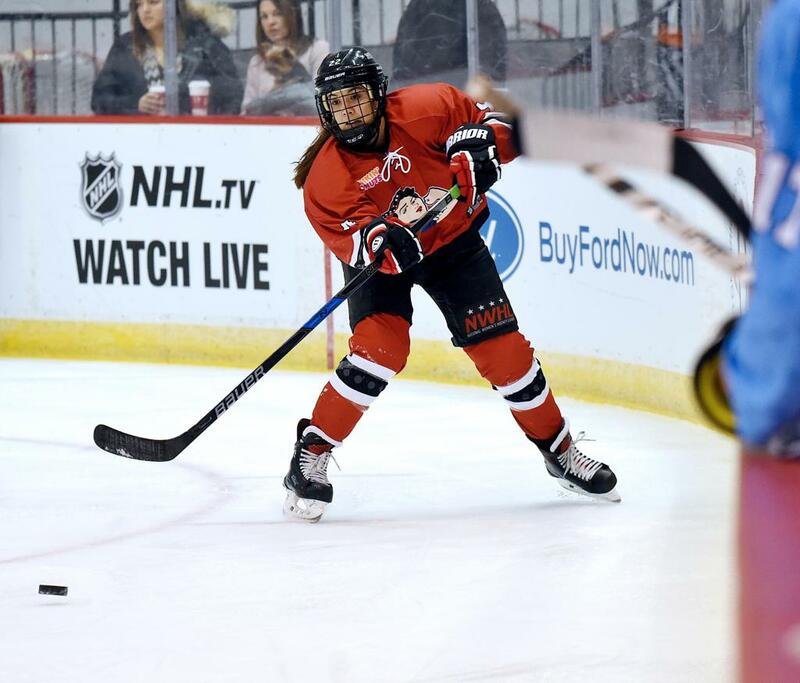 “Everyone has been great helping me balancing my Princeton and NWHL life. The support has been phenomenal."